Please note 'Preview' by appointment from Sunday 10 March 2-5 pm. 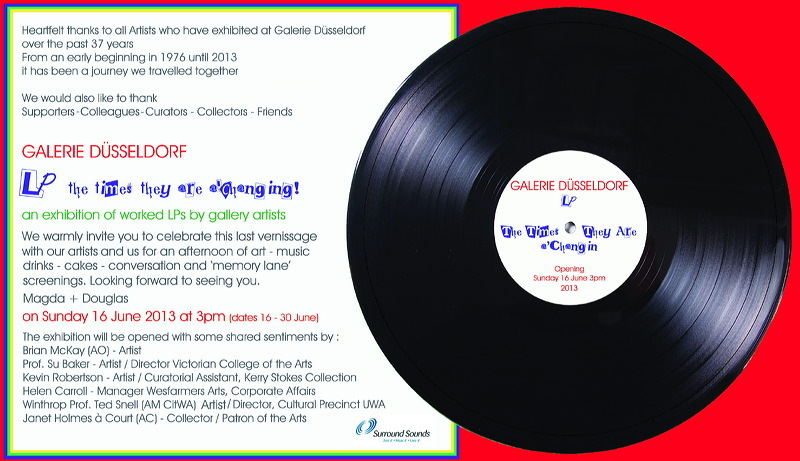 Phone 08 9384 0890 or email : gd@galeriedusseldorf.com.au to arrange a time. 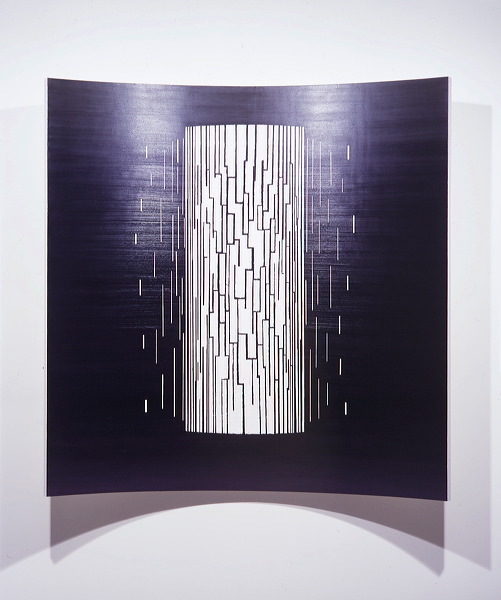 After 37 LP years Galerie Düsseldorf will be closing its doors on 30 June 2013. In itself, a long playing record in Western Australia and one of the longest in Australia. A vinyl LP spins at 33 1/3 rpm and if we add up the numbers we get 37. So appropriately, we'd like to invite you to participate in our closing exhibition and LP celebration. LP : the times they are a'changing!